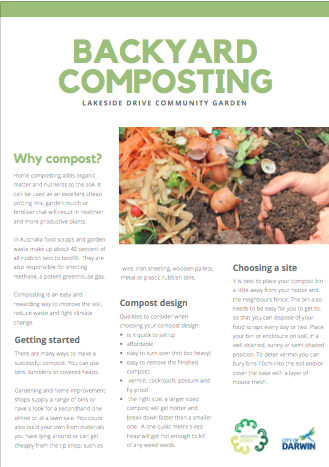 You can download our Backyard Composting pdf brochure here (11.7mb). This has information about the benefits of composting as well as tips to get started. It includes information about choosing a design, suitable site, ingredients you can add, managing, monitoring and trouble shooting.